Three people were killed and others wounded in Utrecht attack authorities were treating as terrorism. 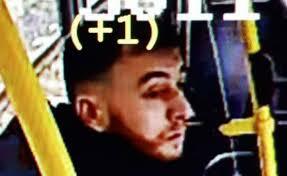 Dutch police arrested a Turkish-born suspect believed to be the gunman who killed at least three people and wounded several others on a tram in the city of Utrecht, an attack authorities were treating as a possible act of terrorism. Police identified the man as 37-year-old Gökmen Tanis and said he had a criminal record, but wouldn’t comment on whether he had been previously flagged as a terror suspect. “Evidence points to terrorism, but we can’t exclude other motives,” Dutch prosecutor Rutger Jeuken said at a press conference in Utrecht on Monday. He added that possible accomplices were also being investigated, with one person having been taken in for questioning during several house raids carried out earlier in the day. A second suspected accomplice was taken into custody late Monday, police said. Police published pictures taken from surveillance-camera footage and showing the suspect a few moments before the shooting occurred, according to the time stamp on the images taken inside the tram. The suspect is believed to have fled the scene after hijacking a red Renault Clio, which was found by police two hours later and a few miles north, said Rob van Bree, police chief of operations for central Netherlands. Mr. Tanis was arrested near where the car was found. Ex-CIA Director: Mike Flynn and Turkish Officials Discussed Removal of Erdogan Foe From U.S.